Earlier today, we told you that Verizon had launched its 5G mobile service in Chicago and Minneapolis a week earlier than expected. The nation's largest carrier expects to expand the service to 30 markets before the end of 2019. Right now, the only phone that supports the new service is the Motorola Moto Z3 using the 5G Moto Mod attachment. So what made Verizon decide to activate its next-generation mobile wireless service a week earlier? A report from Reuters might give us the answer. Just hours before Verizon made its announcement today, the executive vice president of South Korea's largest carrier had something to reveal. SK Telecom will launch its 5G service this coming Friday, April 5th. With the U.S., South Korea, and China in a race to get their 5G networks up and running, it seems that Verizon wanted to beat SK Telecom to the punch. Why? Because the first country to offer widespread 5G networks will see its economy get a boost from new services and businesses generated by the faster data speeds. For example, 4G LTE speeds enabled companies like Uber, Lyft, Shipt, and Postmates to be born. 5G peaks at 1Gbps, and offers downloads up to 10 times faster than 4G LTE. Movies that take minutes to download on a phone using 4G will load up in the blink of an eye with 5G. AT&T was the first in the U.S. to launch its 5G mobile service, which is available by invitation only in 12 markets. Those using AT&T's 5G service must carry around the NetGear Nighthawk mobile hot spot in order to connect to AT&T's next-gen network. To access its 5G data speeds, Verizon customers can now purchase the Moto Z3 and the 5G Moto Mod accessory. The phone can be bought for 24 monthly payments of $10 while the Moto Mod is priced at $199.99. 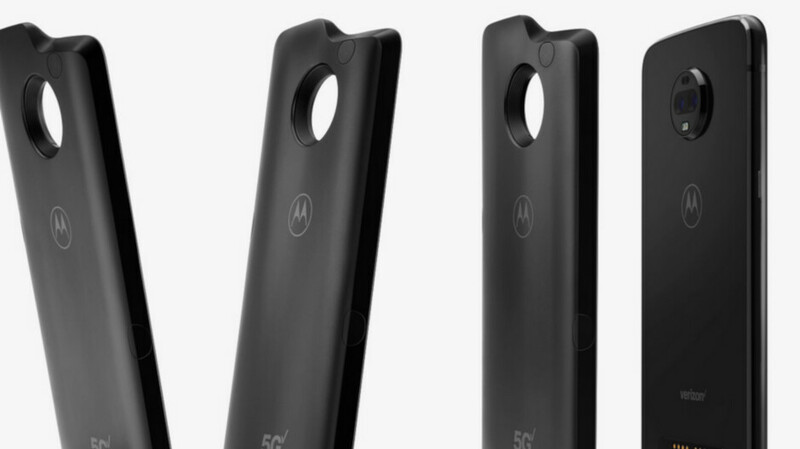 When the Moto Mod is attached to the back of the phone, the handset can receive 5G signals. Just the other day, AT&T became the first U.S. carrier to reach a peak download data speed of 1Gbps over its 5G network. When SK Telecom customers get to experience 5G starting this Friday, they will be doing it on the Samsung Galaxy S10 5G. Verizon customers will get the first shot at this phone in the states, reportedly on May 16th. In the second half of 2019, the device will be offered for sale by AT&T, T-Mobile, and Sprint.